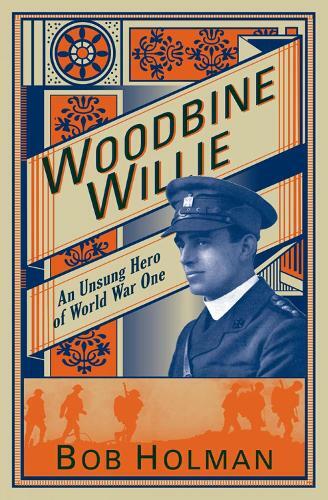 Woodbine Willie was the affectionate nickname of the Reverend Geoffrey Studdert Kennedy, an Anglican priest who volunteered as a chaplain on the Western Front during the First World War. Renowned for offering both spiritual support and cigarettes to injured and dying soldiers, he won the Military Cross for his reckless courage, running into No Man's Land to help the wounded in the middle of an attack. After the war, Kennedy was involved in the Industrial Christian Fellowship, and he wrote widely. This superb biography is based on original interviews with those who knew and loved him. A deep and real concern for his fellow men drove him relentlessly, and this book shows how vital was the role he played, on the battlefields of the trenches and then the slums. Bob Holman, described by the Daily Telegraph as 'the good man of Glasgow', has made a mission of living alongside the disadvantaged of British society. An accomplished writer, who contributes regularly to the Guardian, he is the author of several books, including Keir Hardie (Lion Books).